> Advice - Never neglect your car insurance! If you are planning to buy a car, I recommend that you also plan to buy a car insurance policy that you see fit. Just don't take the car insurance policy for granted. As you know, in Singapore, it is compulsory that every car is covered by a car insurance policy. In addition to that, you need to make sure that you renew it every year as the policy will only be valid for one single year. The same also applies in the U.K., it seems. 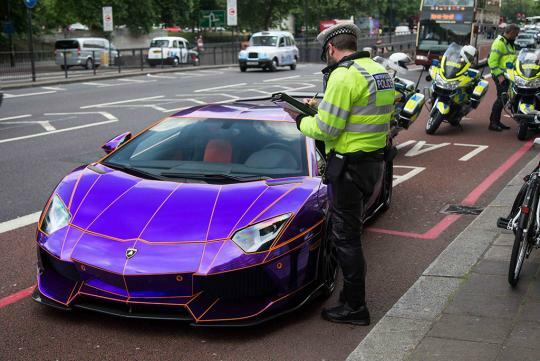 Just recently, London police officers managed to seize a customised Lamborghini Aventador. As it turned out, the car belongs to Nasser Al Thani, a member of the Qatar Royal Family. For your information, this guy is well known for his fondness of showing his supercars to the public in London, the capital city of the Great Britain. The tuned Aventador got impounded because Al Thani didn't have a proper insurance to cover his Italian supercar. While impounding the car, though, the officers seemed to get a little problem at first, due to the limited headroom and low ground clearance that comes as a result of installing aftermarket carbon fibre splitters. So, after all being said, if you love your car and don't want it to get seized by the police, you better start thinking about a suitable and proper car insurance policy.